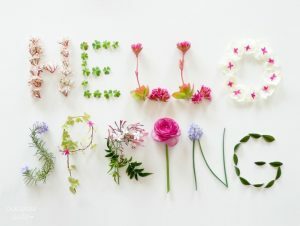 No winter lasts forever and today is officially the first day of spring! Today marks a new season and a new beginning. You can already begin to see signs of spring everywhere–daylight sticks around longer (yay! ), it smells different, the whole atmosphere evolves. Change is definitely in the air. When I think of spring I think of flowers, rain, spring cleaning…and I also think about setting new intentions and change for myself. While the flowers are growing, what do you want to “grow” in your life?. That leads me to talk to you all today about vision boarding. You may or may not be familiar with the concept of a Vision Board. I wasn’t actually introduced to making one until 2016. I made my first one then, and I realized how powerful it really is to create one. 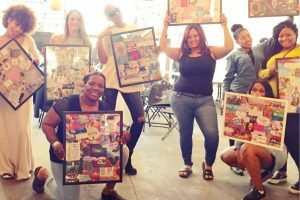 A vision board is a visualization tool that you can use as inspiration and motivation for your journey toward things you want to acquire or accomplish short-term, or long-term. Some people call it a “dream board” or an “inspiration board.” No matter what you call it, it’s basically a collage of pictures, words, and quotes that serve to remind you of your passion, purpose, and things you’re working towards. I think spring is the perfect time for creating a vision board because as the earth is starting a new chapter, so are you. People spring clean, and shop for new spring and summer wardrobes, now it’s time to add spring dream-chasing to the list! Vision boards are made to depict goals and dreams in all areas of your life, or in any one specific area that you are focusing on. Maybe you want a promotion at work, or to vacation more, to be happier, to increase or improve your quality of health, to start-up a business, to finish school, or to have a better relationship; it can be any and all of the things you desire. The first step to creating one is to think of goals you want to set within a certain period of time. I would say don’t think further than like a years time. You want to make the goals reachable and winnable sooner than later. You could even turn your vision board creation process into a fun night. You and some friends could meet up and create your boards together! Secondly, after you’ve thought of your goals and desires, then you want to find pictures that represent or symbolize the experiences, feelings, and possessions you want to attract into your life, and place them on your board. You can use photographs, cut things from magazines, or find your pictures on the Internet–whatever inspires you. Also, it doesn’t have to be only pictures, but it can be anything that speaks to you and your vision. For example, one of my friends was adding to her board the desire to get a new apartment. So what she did was, she taped an old key onto her board to symbolize the new apartment key she was hoping to have soon. Inspiring AF! You can even include a picture of yourself or friends and family members on your board. 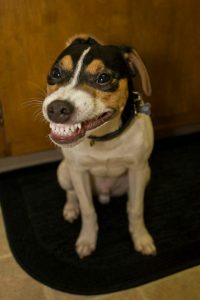 You want to choose those that were taken in a happy moment, like you smiling, for example. For full instructions on how to create a vision board, you can always Google or Youtube search instructions, but here is one I particularly like. Just click and scroll down to the directions. Some instructions tell you to purchase a lot of fancy or expensive items but this can simply be done with paper, scissors, and glue, to be honest. You also have the option to create a vision board digitally using websites like PicMonkey , DreamItAlive, or a Vision Board App, but I prefer the old school paper and I’ll tell you why next. Your ability to visualize your dreams serves as a driving force in them becoming your reality. My latest vision board had many things I was aspiring to do and I have done them all! (except one, I think…lol). 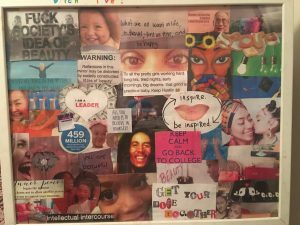 I last made a vision board two years ago on March 23rd, 2016, so I am definitely going to try to make a new one this weekend. Also, to reiterate being cost effective, all I’m going to do is turn the old board around and put my new pictures on the back side. Smart right? LOL. Check out my old one. The biggest thing on my old board was that I wanted to enroll in school, I did. I wanted to vacation and take more breaks–two months after creating that board I was vacationing in the Dominican Republic. I also wanted to elevate my self confidence and not be so insecure about my body image and I put quotes on the board to affirm me. I wanted to find an outlet where I could inspire others, I didn’t know what I had in mind, and here I am on now the Buzz talking to you beautiful people! I’m not saying the vision board is this magic tool and things will just start happening, things start happening because the board keeps you focused on what you want. I haven’t yet practiced what I’m about to preach to you, but creating a vision board is something I recommend doing every year, or however periodically you feel depending on the goal term of your last board. As you continue to grow, evolve and expand, your dreams do too! Acknowledge them! I hope I’ve inspired you to create your own vision board and really start to move your dreams forward into reality. This entry was posted in Neffi and tagged settinggoals, visionboard by Neffi. Bookmark the permalink.